The differences within communities are exposed very clearly in wetland use and development. 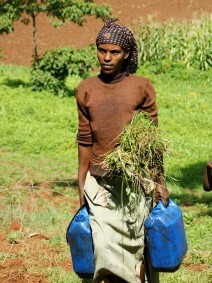 In many areas access to water and some craft products are the key wetland resources for women. Grazing for cattle and horticultural activities are often what attract the richer men to wetlands. Wetland Action applies a gender and socio-economically sensitive approach to wetland use. Identifying these different interests is important in resolving conflicts which occur in wetland use and ensuring an equitable distribution of wetland benefits.